The Pine Hill Police Department is encouraging our residents to sign up for the Smart 911 program. This program was recently announced by the Camden County Freeholders and will save critical time in emergency situations. 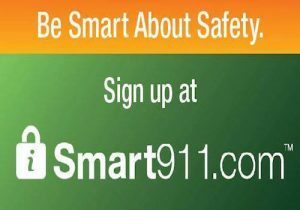 Residents are encouraged to create their safety profile with Smart911 to have their information available to dispatchers and to receive emergency notifications. Smart911 is private and secure, is only used for emergency responses, and only made available to the 9-1-1 system in the event of an emergency call. Click HERE or below to sign up now!